. . . and I hung them over the door. I had a few left over . 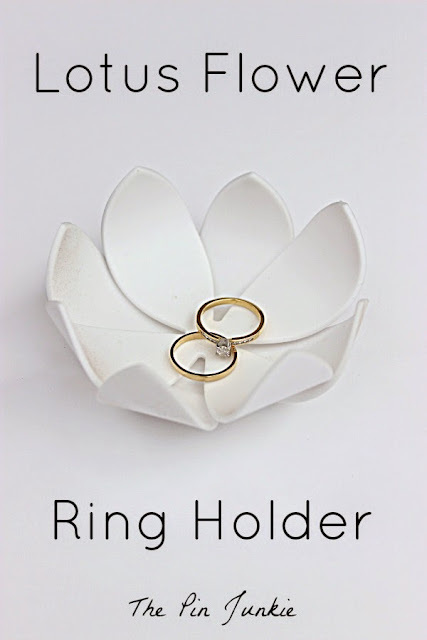 . .
so I glued two of my leftover flowers together . . .
. . . that holds rings or other small things. It's so pretty and it was ridiculously easy to make! I love using it to hold my rings when I'm not wearing them! 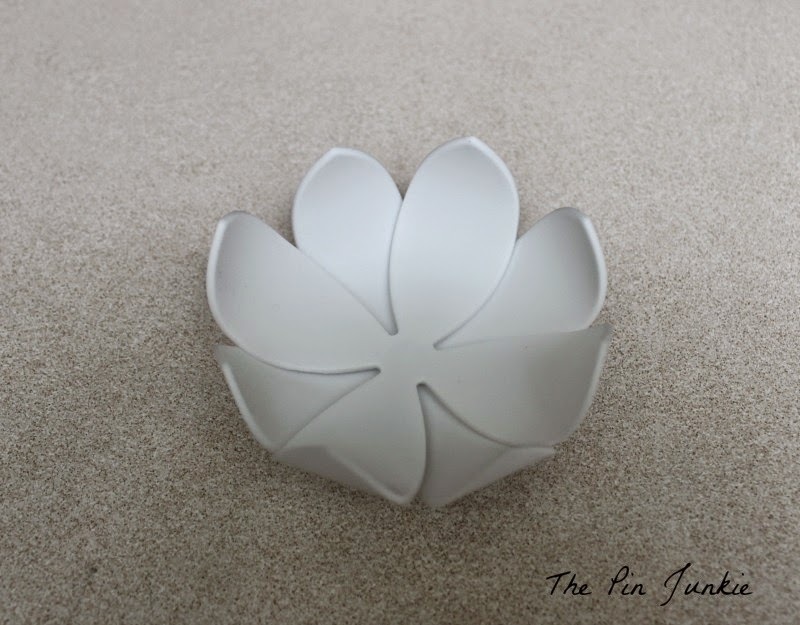 Inspired by this pin for lotus flower ring holder. That turned out great! What a cool idea. What a cute idea. 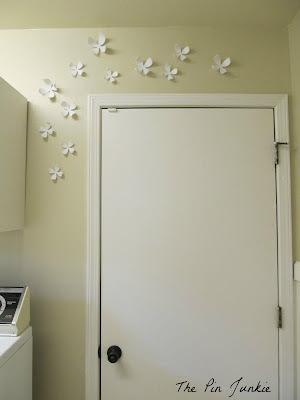 Love the flowers on the walls. Thank you for sharing with the Clever Chicks Blog Hop! I hope you’ll join us again next week! They're so easy! You can make one in just minutes! These are so pretty!! I love how they turned out! Smart. I don't even have a ring holder in my bathroom and I always worried about loosing them down the drain. I really like mine and have it by the bathroom sink. Thank you so much for sharing your wonderful creativity on The Inspiration Board at homework. 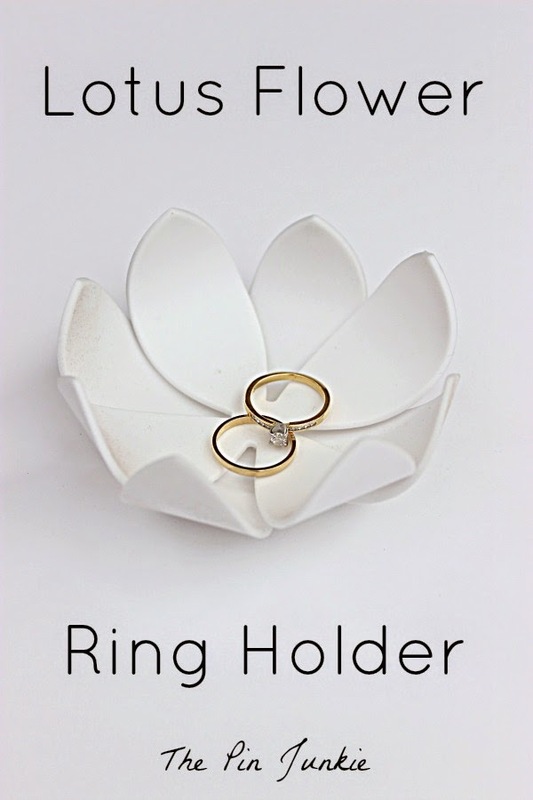 I love, love, love the ring holder! 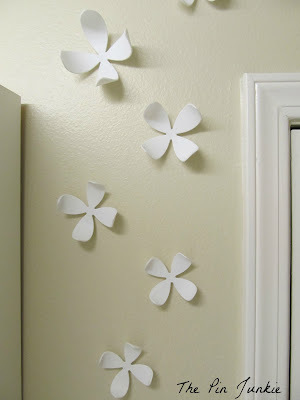 What a cute idea and so quick and easy! Thanks for sharing with SYC. These are really cute! 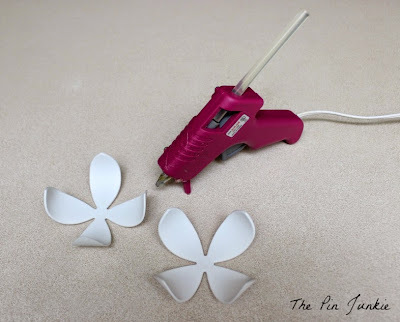 Thanks for sharing this post at the Inspire Me Mondays Link-Up! 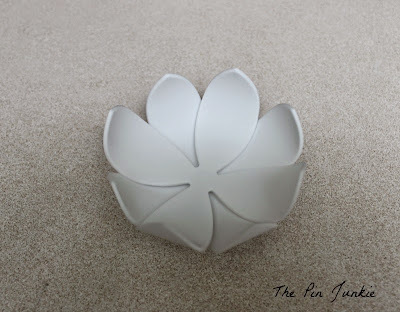 Cute bowl--and I love them on the wall too! Very cute idea! Thank you or sharing with us at the Brag About It link party! I love how simple yet functional this is. So pretty! Thank you for sharing at Inspire Me Wednesday. Featuring you in this week's issue. Cute idea, Bonnie. Where did you buy the flowers? That's gorgeous! Where'd you get the ones for the walls? This is so beautiful..I love it! Thanks for sharing this with us at Bloggers Brags. I'm pinning to our group board on Pinterest! Check you out! 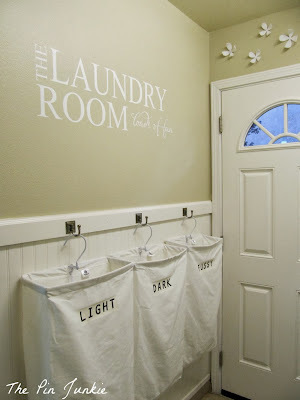 What a fun creative idea!! Thank you for sharing this over at Bewitchin' Projects Block Party! I hope you will join us again this week! !